a. Note: Covenants appear throughout the Ancient Near East during the era of the Old Testament. It seems that the Old Testament intentionally structure the format that appear around them. i. Both parties enter into the covenant voluntarily. ii. The terms of the covenant is agreed upon bilaterally. iii. Examples include Jacob and Laban (Genesis 31:54) and David with Jonathan (1st Samuel 18:3-4). ii. The terms of the covenant is agreed upon unilaterally. iii. Examples include Noahic, Abrahamic and Davidic Covenant. ii. Examples include: Circumcision and the Rainbow. 1. Obedience to the covenant bring forth good fruits. 1. Disobedience to the covenant bring forth severe punishments. i. Covenants are forms of promises. ii. Covenants with God depends on God to fulfill it. i. This is only for covenants that are of voluntary partnership. ii. Not the case for covenants that are unilateral. a. By Biblical covenants, this syllabus is referring to covenants that include God as a party. b. We can only know the covenants that God made from what He has revealed to us in His Word. c. Given the above, there is no room for any man-made ideas of covenants that are the result of speculations. d. Therefore, Biblical covenants are identified by what the Scripture explicitly identify as covenants. i. While covenants are promises, not every promise is a covenant. ii. As a result, covenant can only be identified when it is called a covenant. ii. Given how frequently it is mentioned, it is important to understand the Covenants that appear in the Bible. i. Covenants are the thread that goes through the entire Bible. ii. The Bible is about God as the Hero: He is the one who will keep His promises. Bill T. Arnold and Bryan E. Beyer, Readings From the Ancient Near East, (Grand Rapids: Baker Academic), 96. Irvin Busenitz, “Introduction to the Biblical Covenants: The Noahic Covenant and the Priestly Covenant”, The Master’s Seminary Journal, Volume 10 Number 2 (Fall 1999), 173. Irvin Busenitz, “Introduction to the Biblical Covenants: The Noahic Covenant and the Priestly Covenant”, The Master’s Seminary Journal, Volume 10 Number 2 (Fall 1999), 176. Point: Presuppositional apologetics is really a worldview apologetics that among other things, analyzes the foundational beliefs of those who challenge the Christian worldview. In other words, Presuppositionalists engages in an internal critique against an opponent’s presuppositions to show how they cannot provide the “solid foundation” to make human experiences intelligible and meaningful. Sometimes people might not understand what the presuppositionalists is doing so an illustration is in order. Picture: I read this news story about how there are these massive sinkholes in a parish in Louisiana. Obviously, with a whole town that has become a sinkhole, it’s not a place with good foundation to do much. And if you were to have things above it, no matter if it’s a long tree, a house, etc, all these good things will sink away because what’s beneath it is terrible “ground” that does not provide the foundation for these good things to stand. That’s the same way it is with a lot of presuppositions of worldviews against Christianity: their foundational beliefs actually undermines instead of support the second tier beliefs or experiences that they might have. The presuppositions are a problem. OPPONENT: I don’t get what you are trying to do with my presuppositions. What’s your point? CHRISTIAN: I’m trying to show how your worldview is self-refuting and how the foundational beliefs you hold ends up undermining the things you use against Christianity such as logic, morality, knowledge, etc. I suppose an illustration would be appropriate. 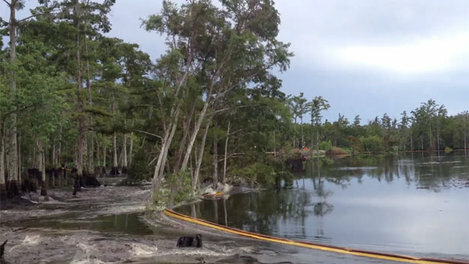 Have you heard about these terrible sinkholes in Louisiana? CHRISTIAN: Would you go out and build a house with a sinkhole as a foundation? OPPONENT: (Laughs) Of course not! CHRISTIAN: I didn’t think so. In the same way, what I’m trying to show you is that you are trying to build all these good things but it rests on your presuppostions, that is, your foundation for your building, on a terrible sink hole that collapses all that is good away. 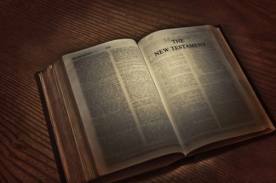 Recently there have been several books published on the topic of Jesus in the Old Testament. While technically not a new book, P&R will be releasing the 25th Anniversary edition of The Unfolding Mystery on August 28th 2013. In the introduction Edmund Clowney makes the point that it is possible to know a story from the Bible and yet miss the Bible’s story. I agree with Clowney of the importance of seeing the Scripture as a whole pointing us towards Jesus Christ whether prophetically, typologically or directly. This includes the Old Testament. In nine chapters, Clowney provides the reader with a survey of selected passages from the Old Testament and how it points us towards Christ. In most instances Clowney does this well. I enjoyed how he observed the meaning of names of various Biblical characters has significance in anticipating Christ through a redeem lineage: Seth is related lexically to the verb meaning “appoint” or “establish” that is echoing Genesis 3:15 of how God has appointed enmity between the Messianic “Seed” and the devil’s seed. Abram’s name was changed to Abraham, meaning “father of a multitude” that reflects the promises of the Abrahamic Covenant. Issac’s name meant laughter—with the mother Sarah laughing not in unbelief as she did previously but because of incredulous joy. Israel’s name meant “God Prevails,” which indicate who really won when Israel wrestled with the Divine Angel of the Lord. There were however instances that Clowney was trying too hard to put Christ into the text such as the account of Jacob wrestling in the dark was described by Clowney as foreshadowing Christ’s agony in the darkness of Gethsemane. He also wrote that “the theocratic law of Israel as the people of God is continued in the church,” but also add that “its sanctions are spiritual, not physical.” I would say the theocratic laws of Israel is for the state and not the church, and that they are not “spiritual,” if by spiritual Clowney means “non-physical,” since there can not be any such thing as a non-spiritual law if it’s coming from God. This is not to take away the bigger portion of the book that is good, and that Clowney does a good job of unfolding Christ in the Old Testament. The format of the book is also helpful: Clowney’s granddaughter has written study and application questions that are included at the end of each chapter that are excellent for personal reflection and also group discussion. NOTE: This book is provided to me free by Presbyterian and Reformed and Net Galley without any obligation for a positive review. All opinions offered above are mine unless otherwise stated or implied. I’m sure at this point readers already know about Miley Cyrus’ distasteful and lewd performance for some MTV Video Music Award. Not a channel I would watch. Not at all. On my yahoo front page a day ago there was an article about Miley Cyrus’ way of dancing, Twerk, being something that is good for you. I couldn’t believe it. I’m just checking my email and I had to see this as the first thing after signing in? As the rhythmic shaking of one’s behind gains popularity with the American public, some are using it as an amusing and creative way to burn calories. After all, many popular dance-based workouts have swept through the country before, including Zumba. 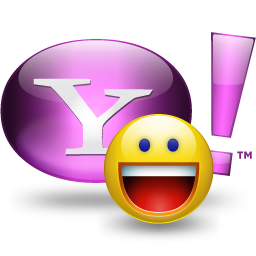 Like the logo for Yahoo, I have to ask “Y? !” Minus the happy face. Think about that terrible ethical principle. I hear from buddies who were Marine Corps Scout Snipers that sniping tests one’s patience and is physically and mentally strenuous. There’s nothing like hunting another man. Should we therefore make a blanket statement that “all occasion of sniping is good” without considering the elephant in the room that there are other moral consideration as well? Should we disregard the instances when it’s inappropriate and down right wrong and talk about how much calories it burns for someone say in Al Qaeda or the Taliban? We can multiply more and more examples of what’s wrong with the underlining ethical principle behind Yahoo’s sleezy article. It’s an irrational and dangerous worldview. And the fact that this type of reasoning can be put on the front page of Yahoo is indicative of where our society is at. Christians, let us keep on evangelizing, engaging in apologetics and articulate the Christian worldview with love, truth, clear thinking and in a Christ exalting way. What can I say about this book? Well, its not just any book. It’s one of a kind. And a kind that happens to deal with one of the most important elements in the life of the church. It’s a book on preaching and preachers. 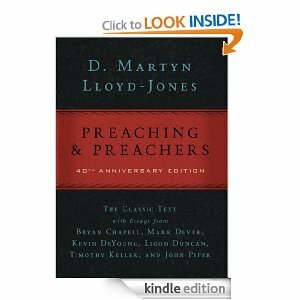 I could see why Dr. Jones would want to write a book on preaching and preachers. For example, in this clear definition concerning the work of the church and the pastor, he states, “The primary task of the Church and of the Christian minister is the preaching of the Word of God.” In other words it is the business of the church to make sure that the preaching of God’s Word is not subordinate to other areas in the life of the church. Preaching is essential, because the preacher stands between God and souls that are on the verge of entering Hell and life of voidness that is separated from the love of God. For Dr. Jones, “The preacher alone is the one who can do this. He is the only one who is in a position to deal with the greatest need of the world.” There is no substitute for it because preaching is the means that has been ordained by God to convert dead souls; and to edify living souls. There are so many things that can be addressed concerning this book. Once you read this book you probably will scratch your head at some of the doctor’s comments and may not agree with every single jot and tittle of what the man says. You will see some of his strong opinions, but they are worth your attention, nonetheless. It will cause you to think. Some of the foundational points that Dr. Jones mentions can be listed under these headings that is somewhat similar to what Mark Dever said in his essay contribution concerning his reading of Dr. Jones’ book: preaching should normally be expository, evangelistic, clear about God, serious, clear about sin, confrontational, not deceptive/manipulative; should proclaim the Gospel; and preaching should proclaim the Gospel because the Gospel is for everyone. Expository preaching is fundamental to the church. We need to hear what the verse or passage means because getting the meaning down brings one closer to God. We should not concoct our own meanings or imaginations into the message. Preaching should also be evangelistic. Although edifying the saints is critical the growth of believers, evangelistic messages are also important because the preacher needs to come to grips with the reality that perhaps not everyone in the pew is a believer. Preaching should also be clear about God. Why should we be clear about God? We want to be clear about God because we want people to have a sense of God and His holy presence. Dr. Jones once said in his lectures concerning the topic of being clear about God, “I am never tired of saying that the real difficulty of evangelism today is that we do not spend sufficient time with the doctrine of God.” Even though he is referring to evangelism, the principle still applies to the pulpit. Clarity about God is vital because he is the heartbeat of the message. In terms of being serious when it comes to preaching, Dr. Jones responded to an interview done by Carl Henry. Carl Henry said, “You have a great sense of humor, your friends say, but seldom use it in the pulpit.” Dr. Jones replied by saying, “I find it very difficult to be humorous in the pulpit. I always feel in the pulpit that I am in the terrible position of standing between God and souls that may go to hell. That position is too appalling for humour.” That is a heart-check moment for me. Whenever I get the opportunity to preach, may God instill a sense of continual seriousness upon my mind. As for preaching being clear about sin and being confrontational about sin, the doctor says that we are to be respectful towards the person, but we also must be merciless on the sinner because of their rebellion against God. The sinner that has not placed his full trust in Christ is an abomination to God. And just to give an anecdotal evidence of this, the doctor did back up his statements when he was in the heat of the moment. For example, in one of his sermons, he said, “The church of Christ is a church of believers, an association of people banded together by a common belief and a common love. You don’t believe? Well, above all, do not pretend that you do, go to the country and the seaside. All I ask of you is, be consistent. When someone dies in your family, do not come to bury him. Go to the sea-side for consolotion.” That may seem harsh, but is true love. He cares for them that much, that he is willing to tell them their reality of their condition so that they may come to Christ. Another area that must be covered is the manipulation in preaching. Dr. Jones adds a crucial statement that is fundamental to our awareness concerning manipulation, “The will should always be approached primarily through the mind, the intellect, and then the affections.” That is a great quote. In the days we are living in, many churches manipulate people by making people think they are saved if they just sign a card, say a sinners’ prayer, walk a aisle, or make a decision for Christ – all without their mind being washed by the Gospel. But what’s the use when the mind has not been affected by the Gospel? The mind is critical. If the mind is not washed by the Word and affected by the the Holy Spirit (Titus 3:5), then one does not truly understand and accept the Gospel. It is the mind that substantiates the human will and emotion. The last fundamental point I would like to point out is this: “evangelistic preaching is for all.” In other words, believers and unbelievers need to hear the Gospel. For the Christian, the Gospel is the source that sanctifies them in this life and the life to come. For the unbeliever, the Gospel is the only hope concerning one’s freedom from sin and is the only hope concerning one’s escape from hell in the afterlife. I highly recommend this book. I would say that besides the preaching books that focuses on the mechanics of preaching, this is the best book on the treatment of preaching and preachers. It will electrify your soul if you have a heart to preach God’s Word. John Whitcomb, who is often called one of the “Fathers of the Modern Creationist Movement” with the launch of his book titled “The Genesis Flood” more than 50 years ago, has also been identified as a Presuppositionalists by other VanTillians in addition to being a former Old Testament Professor. 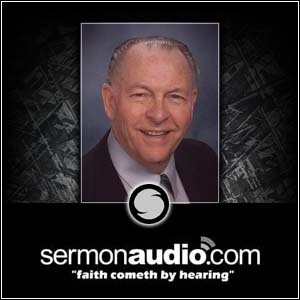 Here is a video by Dr. Whitcomb on Miracles and the Modern mind. Lord willing we plan to get an interview with him concerning Presuppositional apologetics as part of our series on Calvinistic Dispensational Presuppositionalists. Ideally in a perfect world, I would love to develop and teach a four level hermeneutics course and lecture series. Level One would be Introduction to heremeneutics. Level two on the Literary Forms/Genres found in the Bible. Level three would be on the covenants of the Bible and it’s hermeneutical implications. Finally level four would be a course on Logic. Then there’s other hermeneutical topic that deserve to be taught in it’s own right as well (perhaps as an elective? ): how does the NT uses the OT, and Finding Christ in the Scriptures, etc. I have made Level one and two available online. Beginning next Saturday, Lord willing we will feature outlines as teaching aides going over the covenants that are explicitly found in the BIble that has hermeneutical implications. It will be a short series.